Having any problems with your range? Don’t worry! Our company is here to deliver a quick and reliable range repair Old Bridge service whenever the need arises. Whether your appliance is playing up or has completely broken down, we can help you. All you need to do it to set an appointment and we will dispatch a skilled oven range repair expert to handle your situation. Located in Old Bridge in New Jersey, we offer same day appointments in most cases. So don’t lose your time and book your electric or gas range repair right now! Whatever your problem is, you can count on Appliance Repair Old Bridge! We send out only the most qualified techs with years of training in the field. Be it a glass range repair, stove top tune-up or oven parts replacement, the pro will complete the task with the utmost accuracy and care. 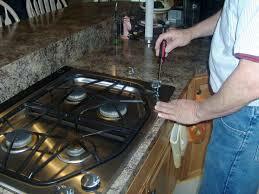 When it comes to electric or gas range installation, you need to make sure you entrust the job to the professionals. With a vast expertise in range service in Old Bridge, the local techs can fit your appliance in a safe and efficient way. When hiring our company, you can breathe easy knowing your unit is set up without a hitch! Don’t let a broken range affect your cooking plans. Drop us a call today to arrange your Old Bridge range repair with one of the local specialists. We are waiting for your call!